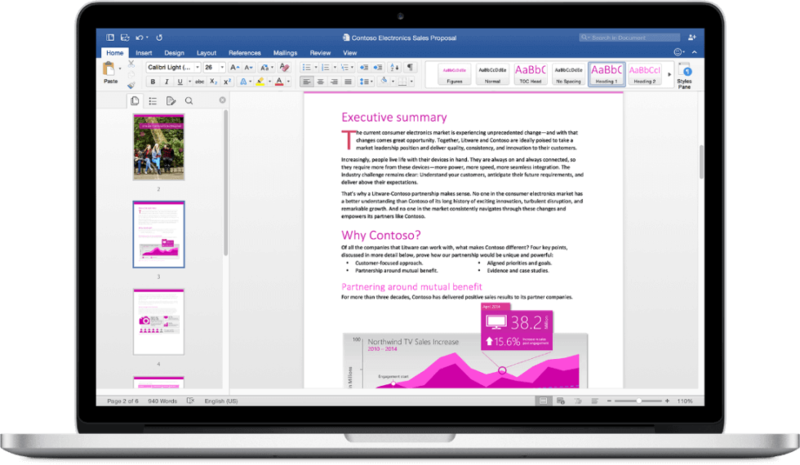 Last week Microsoft® announced the availability of Microsoft Office 2016 for the Mac® and now it’s available for Intermedia Office Apps subscribers! A new design tab has been added that features professional design elements including exotic typefaces, color schemes and new layouts. On the collaboration side, multiple comments from different sources can be threaded on the side margin of the document to give users a complete view of the evolution of a document. 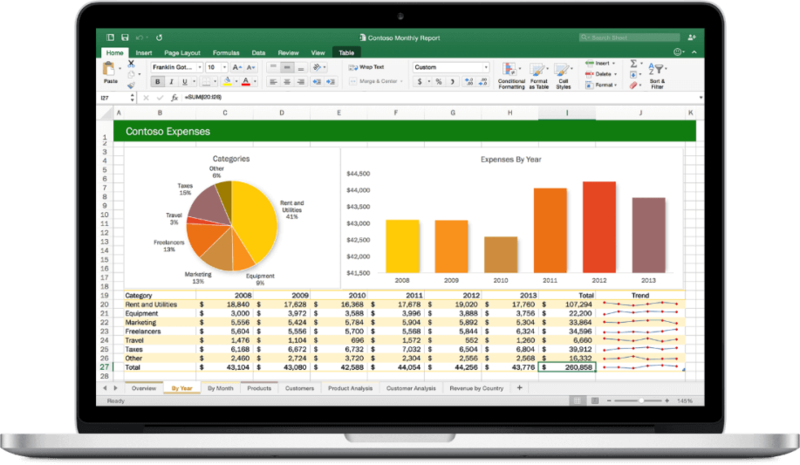 Excel has been redesigned to make the visualization of numerical data stand out in easily relatable ways, with features that automatically scan your data and recommend the best charts for your information. PowerPoint receives a total enhancement of the animation pane and its animation effects. A companion application has also been added for presenting that allows Mac users to have additional control from within presentation mode. Outlook receives a redesigned pane that automatically groups conversations so they are easier to locate and manage. Additionally, to make browsing incoming mail easier to organize, the mail preview now includes the message’s subject line, as well as the first sentence. 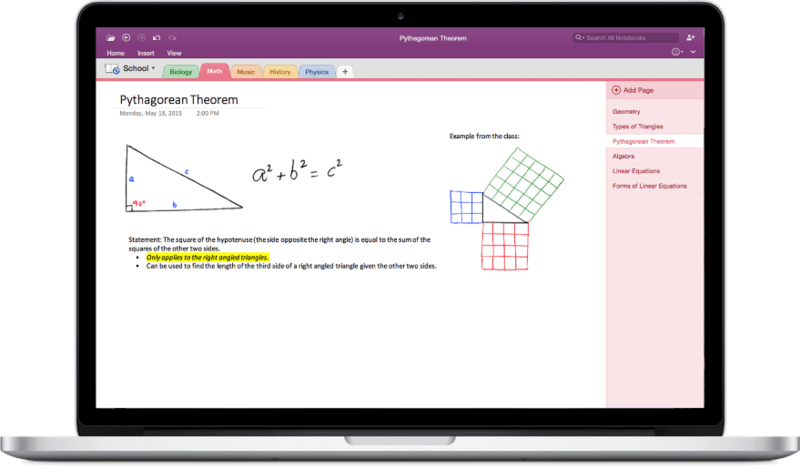 OneNote is now included in Office for Mac so you can now capture your notes, thoughts, and doodles in a series of organized digital notebooks that can be accessed from virtually any device. You can insert pictures, videos and recordings, as well as tables and drawings which can then be shared and collaborated on with co-workers and other individuals. 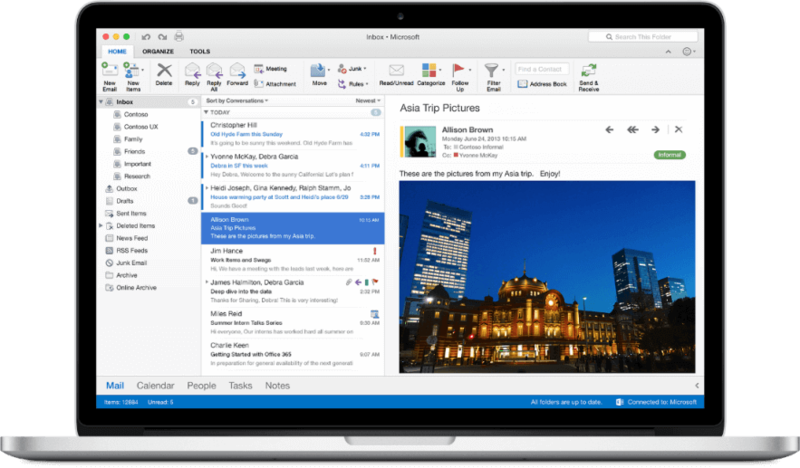 Intermedia Office Apps subscribers can download Office 2016 for Mac directly from HostPilot®. 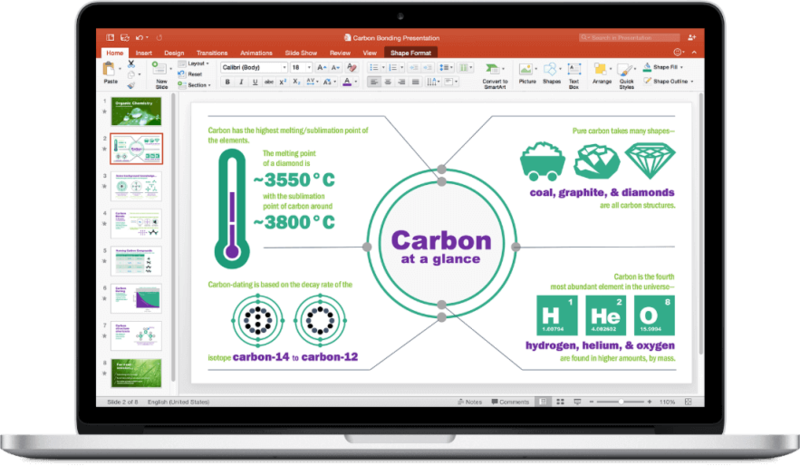 Powered by Microsoft Office 365TM, Office Apps provides the latest, most up-to-date versions of Office for an easy, flexible, and affordable monthly subscription. If you don’t yet have Office Apps or have any questions, you can contact us at 800-379-7729. Our helpful representatives will answer the phone quickly and provide you with any assistance you need. HostPilot is a registered trademark of Intermedia.net, Inc. in the United States and/or other countries. Microsoft, Excel, PowerPoint, Outlook, OneNote and Office 365 are either registered trademarks or trademarks of Microsoft Corporation in the United States and/or other countries. Mac is a registered trademark of Apple Inc.